I attended an Instagram talk by the Queen of Flatlays Margaret Zhang on the weekend and left inspired to give more thought to my own flat canvases. As well as being a photographer, stylist, writer, student and managing her website Shine by Three, Margaret also runs one of the most fascinating Instagram accounts out there: @margaret__zhang. Her trademark flatlay style, also referred to by fans as a #zhangflat, is without compare. When it comes to Instagram, Margaret said it is important to create and maintain a consistent style, whether that be colours, composition, borders, interests or photography technique. Choose a hero piece and then fill in the rest of the space with complementary items. Use objects with edges like books to define the corners of your flatlay. Work out from there in a grid format. Consider using natural lighting as it is more forgiving. “It is as true to what you see with your naked eye as possible,” she added. Be careful with perspectives when shooting for above with taller objects like flowers. Use lines in your picture to lead to an object and draw attention. Margaret said objects like jewellery are great for this because they can often be easily manipulate into a desired shape. 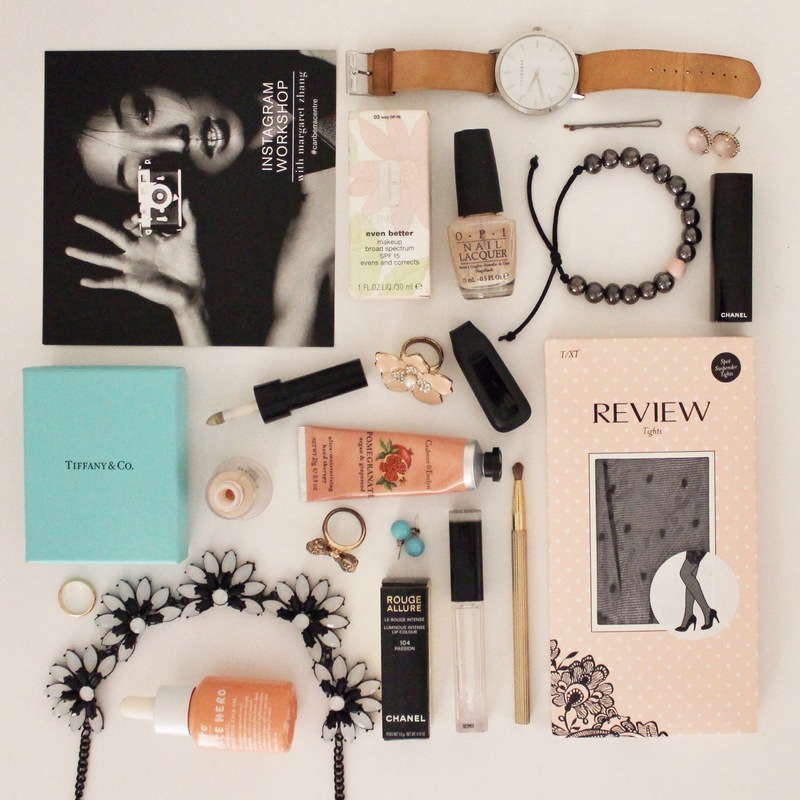 Her favourite apps for editing her flatlays include Snapseed, which she said is good for selective editing. She also recommended VSCOcam for balancing colours. Luminance can be used to change white balance manually. I also put together some of my own tips last year when I was starting out and you can find them here on the blog.